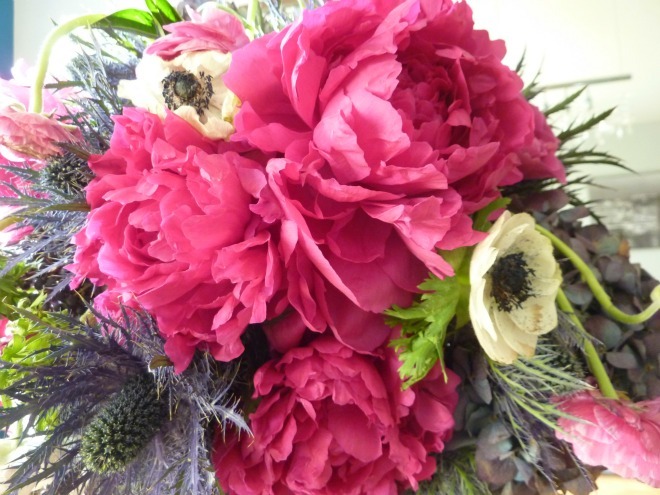 Friday Flowers: Vale of Enna — Sweetchic Events, Inc.
My friend Grace, the amazingly talented florist behind Vale of Enna Flowers, provided a floral centerpiece for last night's Thursday Therapy event at one of the newest wedding venues in Chicago, Greenhouse Lofts. Lucky me, I got to take this massive arrangement home with me... and it was so gorgeous I had to share! 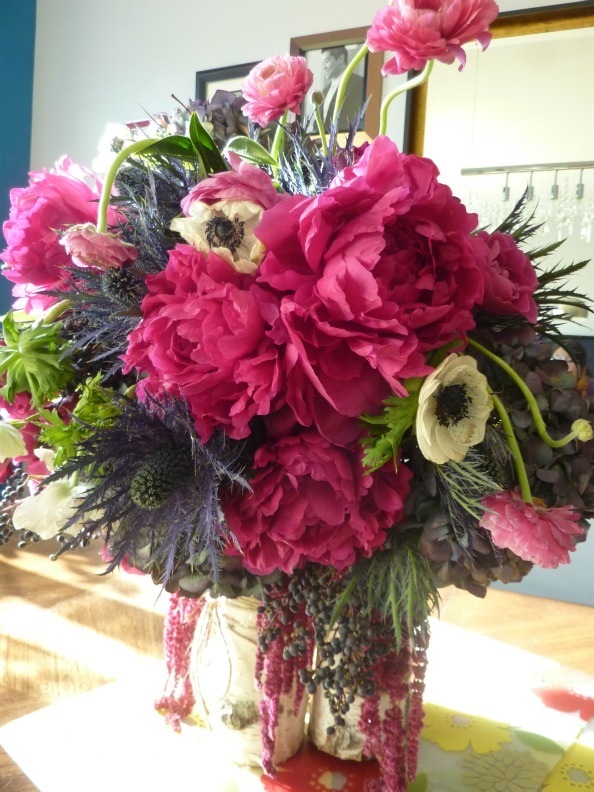 Glorious fuchsia peonies, blue-purple hydrangea, thistle (the prickly looking ones) , ranunculous, anemones (white with black centers), hanging amaranthus (the pink "dripping" ones), set atop a cluster of birch branches that she sawed herself :) I am so in love with this color scheme! So amazing, right??! Thanks, Grace!